I just got back from the Wisconsin CHEA homeschool conference where I gave several workshops, one of which was entitled, “Order in the House! Peace vs. 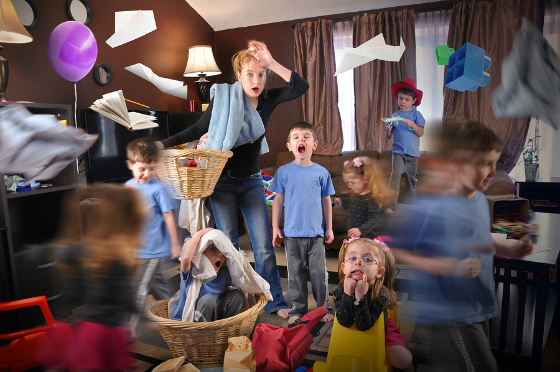 Chaos in the Home.” At the end of my talk, I always try to give an encouraging word to moms who are Messies. I was Born Organized, but during several years of sickness—mine and my late husband’s—I became a survival Messie. I didn’t want to be disorganized; physical clutter is a serious, mental distraction for me. However, I had to learn to give up how I preferred to live in order to attend to the most important needs of my family, including Chris’s MS. While I believe living an orderly life and having an organized home are things we should work toward for several reasons laid out in the Scriptures (subject of a future blog post! ), I also think God cares about our hearts more than our homes. Being patient, listening well, serving the needs of our husband and children, growing in our trust of the Lord and in His Word are efforts well worth our focus anytime or any season. Even though a clean house should take second place in my heart and priorities, it doesn’t mean we should completely give up on taming the paper dragon, or subduing the clutter monster. God is there to help us, in the midst of the messiness of life, to work toward order. Even the smallest offerings in this area bring Him glory. Because I have experienced being both B.O. (Born Organized) and a Messie, I see the value of both. Whether we are one or the other, there is encouragement for us, moms, as well as ways we can grow in our “giftedness.” This month, I’d like to reach out to those who would consider themselves to be a Messie. 1. Don’t Give Up!—Philippians 4:13 is your “Go To” verse, “I can do all things through Christ who strengthens me.” Christ has the power and strength to help you overcome whatever attitudinal or logistical challenges you face while being organized in your home or orderly in your day. 2. Focus on Faithfulness—Luke 16:10 is your charge, “He who is faithful in a very little thing is faithful also in much; and he who is unrighteous in a very little thing is unrighteous also in much.” Your job is to focus on faithfulness in the little things. By giving care and attention to even the most mundane tasks, you are serving the Lord and bringing glory to His name. Furthermore, there is a pleasure in knowing you are growing in spiritual maturity by serving with a cheerful heart. You are learning to be diligent, self-controlled and responsible by being faithful in little things, like picking up, de-cluttering, staying on track with daily chores, etc. You are also being a positive example to your children, and are training them to be faithful in little things. You are passing on to them a sense of responsibility and dependability towards the tasks God has set before you and them by pressing on in faithfulness. 4. Keep Your Perspective—Many of you are gifted and talented in ways a “Born Organized” is not. Accept where you need to grow and learn from others, but also be thankful for your gifts and strengths. Messies tend to love relationship and will often take time to invest care and attentions in the lives of others by listening well, and dropping everything else to help or empathize with a child or friend. Use your gifts to encourage weaker brothers and sisters. Don’t feel like a failure just you may be weak in this way; God has made you strong in other ways. God has made both Messies and Born Organized moms. We are created in His image, and He uses both of us as part of the body of Christ to bring Him glory. Celebrate His creation and His help to keep us growing!